This is the final panel of one of my favorite Calvin & Hobbes strips, though as you can see it works just fine on its own as well. 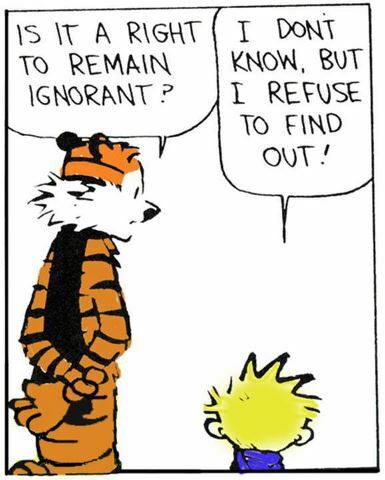 Ignorance is an issue. It always has been, and it probably always will be. The issue is that today it seems that misunderstandings about the nature of tolerance and free speech, as well as the prevalence of Postmodernism, have really given it a haven the likes of which hasn’t existed before. But we’re not here to dissect just where ignorance is coming from in modern culture, we’re here to talk about some of the absolutely dangerous myths that it’s producing and why they are just plan wrong. Chances are pretty high that you’re already familiar with this one, and while most folks are fully aware of just how untrue this myth is, it remains nevertheless one of the most dangerous ones out there today. I’m not just talking about the preventable deaths of thousands of people (which is justification, of course, in and of itself) but about the potential damage it can cause. You’re not just exposing yourself to infection, you’re allowing yourself to serve as a potential carrier to infect others. And of course, this is exactly what’s happening now. See NPR’s article on the subject here. Look, I could spend all day rehashing article after article after scientific study demonstrating that no, vaccines do not cause autism, and no, the substances which make up most vaccines are more prevalent in plenty of other substances- but let us, just for a moment, entertain this superstition as being real. Euphoria, perhaps, because that is one natural reaction to being in the state of perpetual stimulation and entertainment and comfort (at least objectively) that we, the middle class, experience. Every minute, 48 hours of video is uploaded to YouTube. Any thought of YouTube, really, or Hulu or Grooveshark, makes one realize how kind of horrifyingly immense is the amount of entertainment available to anyone with an internet connection. 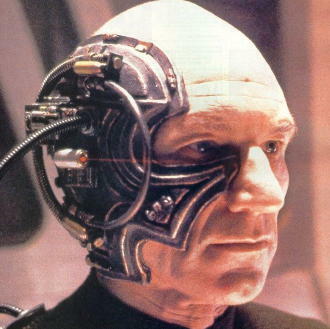 Cyborgs are probably going to start showing up soon. Hopefully Jean Luc Picard will be among them (if we can get a non-evil version). You could do nothing but read, watch, and play on the internet for the rest of your life and there would still be more things you hadn’t seen or read. Information has always been that vast – for at least the last few centuries – but never before has it been so readily available almost all the time. With smartphones and future developments like SixthSense, access to the internet is going to start feeling like an extra limb – something without which you will feel nervous and clumsy and limited. For some people, this is already true – think about most people who’ve owned a smartphone for more than a few months, or anyone in a fantasy football league, or the fact that a SecondLife Shakespeare Company exists. In The Shallows (read a good reflection on the book at The Millions), Nicholas Carr speculates and muses about the various psychological, social, and cultural effects of more completely immersing ourselves in an environment made entirely out of nonphysical stimulation. As a member of the first generation to really experience internet access (if you count AOL 4.0 as internet access) for our whole lives, I look to the future of the human brain with interest and horror.